promise, devotion, destiny and love I believe in these words 4eva!!!!!!! 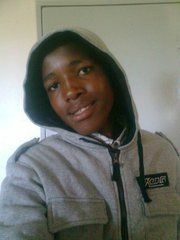 hey im a cool guy lookin 4 some1 endingamthanda at my age. im nt working im still a student so she must knw dt so she can not ask for money to me. marvingale hasn't asked any friends to write a recommendation yet.